Studio Yumi developed the new website for The Hague Beach Stadium. The stadium is a one of a kind in the world. For six months this structure will rise out of the sand. Hosting world class beach sport event on olympic level. Besides the spectaculair sport events, the stadium fulfills a social role for the local community. 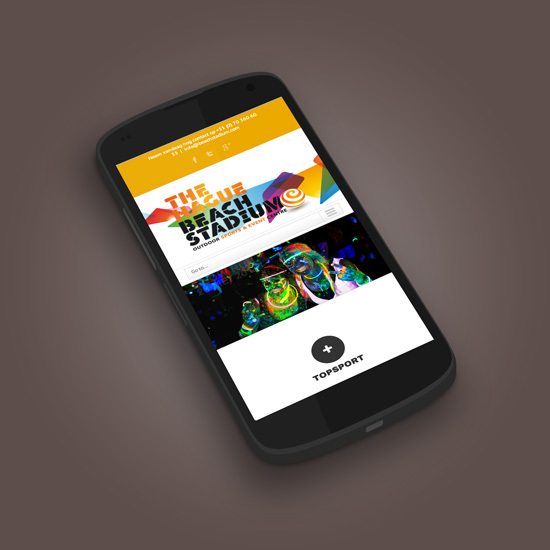 A project like the stadium needs a website needed a digital communication platform suitable for devices. Welcome to the mobile ages!